Last week I announced the Australian Book Blogger Directory so this week's TSS is going to be a bit of an update on that project, but the main focus for today is going to be around definitions. Does your blog have to be all books all the time to be considered a book blog? How about author blogs? Their focus is on books, admittedly usually only their own books, but still? First up though an update! After one week we have nearly 50 Aussie book blogs registered which is totally awesome, and a fantastic start! My plan is to spend tomorrow getting all the entries I currently have up on the blog. Some of the most pleasing aspects of this first week is that after the first few days it was probably 50/50 in terms of the numbers of new to me blogs versus the Australian blogs I already knew about. My Google Reader isn't thanking me, but I am loving finding all these new blogs. Now I just have to carve out more blog hopping time to keep up with them. The other pleasing thing was that I was able to see new connections being made between people who hadn't discovered each other's blogs before, finding other people with similar tastes in reading. That was one of the aims I had for the directory so I am very hopeful that this will continue. 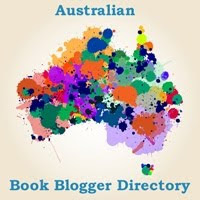 Before I move onto definitions, I just wanted to say thank you to those of you who posted about the Australian Book Blogger Directory. I don't want to forget anyone so I am not going to name names, but thank you for your support! I really appreciate it, and also to Violet for making a button for the directory. So this leads me to my questions for today. I would love to spread the word but need to know what your criteria are for "book blog". I am on an Aussie writer list and am happy to tell them about it. Some review books so that's easy. Some review books and write about writing. Some review books occasionally. Some don't review books but they write books! Are you happy to let them decide if they belong to the book blogging fraternity and apply to join the directory? I do think of myself as a book blogger, but also an education and parenting blogger. I have several Australian followers who are mombloggers. If they review books sometimes, can they join? For the purposes of ABBD, I am really interested in connecting people with similar interests and who will be keen to meet up with other book bloggers in future, so I suspect that my definition might be a bit looser than some other peoples might be. Personally, if someone wants to call themselves a book blogger (and there is some bookish content on their blogs) then I am happy for them to join up, but then again, I actually don't see ABBD as my blog, but rather a community project, so will be happy to discuss other blogger's ideas. So, what do we all think? Is an author a book blogger, or do they need to at least be chatting about other people's books as well as their own to qualify? What about other types of bloggers who occasionally talk books? What about blogs that are attached to bookstores? Often there are reviews amongst their posts, but really the aim is to try to get people to buy from the store. Is there a definition somewhere of what a book blogger is or isn't? Does anyone who has signed up for the ABBD have strong opinions as to who should and shouldn't be included? So, my question to anyone who wants to respond is "How do you define the term book blogger?" Personally i would leave the term as vague as possible - I talk only about books on my blog but that's my choice - others do a mixture and that's fine too with me - I can quite easily avoid the non-booky posts on blogs if I want to. Also, I did fill out the form at the Directory last Monday but so far my entry is not up - now if that's because you have a backlog or ...heaven forbid... a life (watching the world cup does count as a life) that's fine but I worried that I might have goofed when filling out the form because I was doing it while at work and supposed to be...working. What a great idea Marg! I agree with Bernadette...leave as vague as possible, people can avoid what they don't like easy. Not sure whether or not to add my blog, some weeks I manage to post 2 reviews, other times a few weeks can go by with no reviews due to being busy, so not sure if I count, but I do work in the book industry so not sure...maybe I will. So glad you've started this though, at a glance I can already see quite a few I've never come across before so really looking forward to finding a few new blogs to follow! I am jumping in on the vague bandwagon too. I think we have so many rules and regulations in society that it's lovely to have faith that people WILL self-regulate. Oh, in case it matters, and further to what Bernadette said, I joined the directory too last week. Can't see myself though. I'd like to see the directory list people who are Australian, or resident in Australia, and who mostly write about books and reading. It doesn't matter how often they post, or whether they sometimes write about other things. I think as long as their main focus is on books, that's cool. I'd like to see bookseller's blogs included, and authors' websites, if they also have a blog. I think the registered blogs should at least occasionally talk about books otherwise it will simply become a directory of Australian blogs. I'm not going to give you an opinion on the definition as I'm no Australian blogger, but it seems a question worth asking, it's something we often take for granted, isn't it? Thanks for the stimulating conversation. I'm not an Aussie, but I am fascinated by Aussie things anyway. Someday I hope to travel there! But I'm with you on the looser definition...I never really thought about it much until someone on one site chided people for signing a Mr. Linky when they weren't "book bloggers." Maybe because I have SO MANY blogs, and I talk about all kinds of things on them...but I also talk about what I'm reading, what I've written, and I post reviews. Hmm, so tell me, am I a book blogger? My salon is here, where I posted some links to the Australian directory (having already read The Desert Book Chick's post). I would define it as a person who talks about books either all or most of the time. It's why I made a specific blog for books, I was happy with the blog I already had but I found I wanted to talk about books more than my readers probably wanted to hear, so yes, definitely books over all other subjects. Otherwise you're writing a blog that only has books as a feature. I think there is a lot of room here to be flexible. I would classify a book blogger as someone who mainly talks about books (either their own or others) but having some other content on the blog doesn't necessarily have to disqualify them. I think a book blogger is anyone who discusses books, but I think it's also ok if they sometimes talk about parenting, cooking, knitting, or whatever else strikes their fancy! I am really pleased that you are doing this. It's such a great idea! !